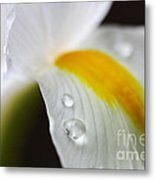 What magic beauty flower, excellent the drops of dew give him a touch of great elegance thank you very much! 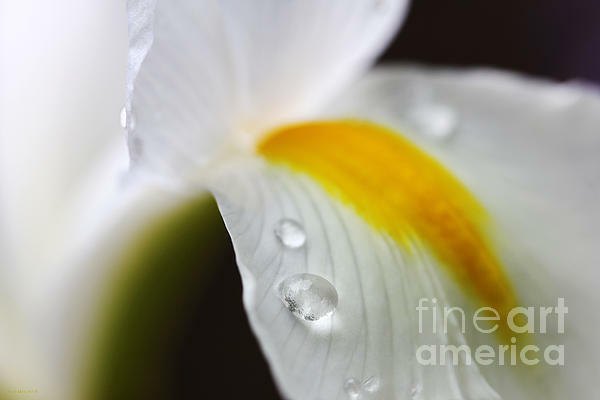 Macro photography of a white Dutch Iris flower with raindrops on it's petal. 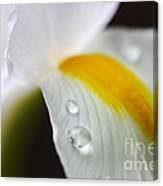 The botanical name is ridaceae Iris Hollandica. Copyright by Jennie Marie Schell. All Rights Resesrved.